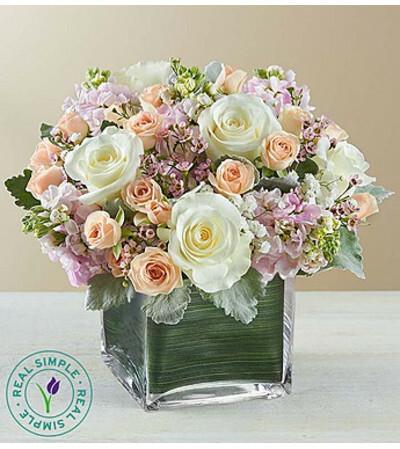 Our elegant arrangement was inspired by an English cottage garden: compact, with soft elegant colors that are simply beautiful. Delicate pink, peach and white blooms come together inside a chic, versatile clear cube vase. 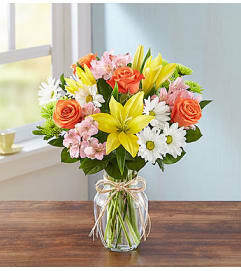 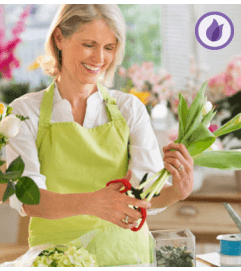 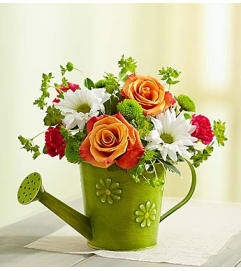 It’s a simple and splendid centerpiece for all your springtime celebrations!